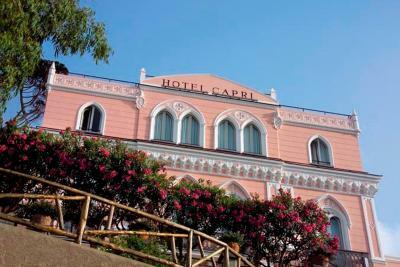 Lock in a great price for Hotel Capri – rated 8.4 by recent guests! 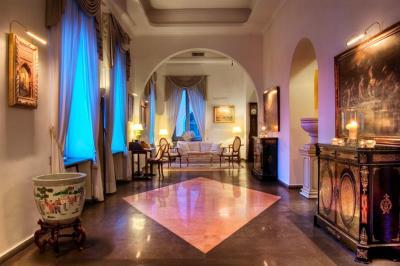 The hotel was delightful, full of charm, and in a great location! 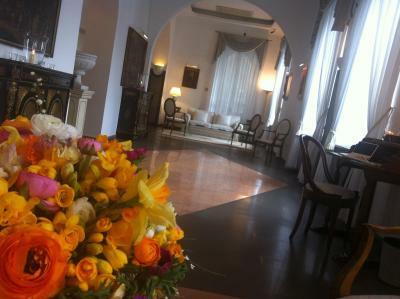 I can't say enough about the staff; they were wonderful and made our stay a lovely experience for first timers in Capri. The breakfast each morning was delicious with lots to choose from. Great value for the money. Would definitely stay there again! Very comfortable stay! 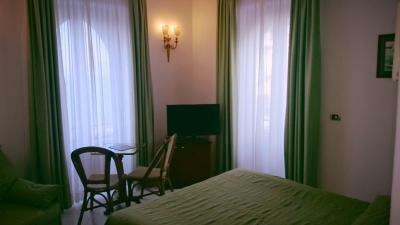 We had a beautiful double room with a view of the ocean. There is a little terrace walkway to our room which was nice to sit out on early in the evening, it also has view of the ocean. Breakfast was good, there was a large spread. Location was great! Down the street from the piazza and across the street from the bus stop. 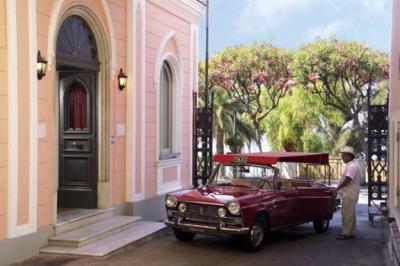 Which is great for getting to the hotel but also great for exploring the island because the cabs can get very pricy. 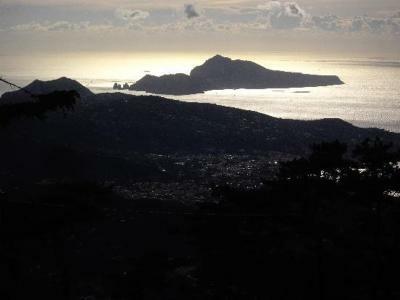 Buses go to Anacapri and Marina Piccola. Cabs in Capri were about €25 from Marina Grande to the hotel, the bus is around €2 per person and drops you off basically out front. 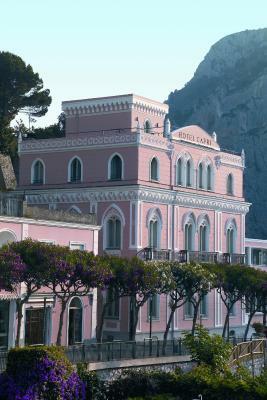 You’ll see the pink hotel when you get off. The tram also takes you pretty close and is down the street. I booked a double room and got superior double room with a very nice view from balcony. 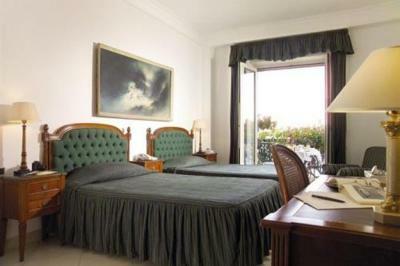 Clean nice room with 2 toilets, very good breakfast, near public transport. Unprompted, the check-in desk granted an upgrade to a sea view room. Also, lovely complementary drinks on their stunning terrace opposite. 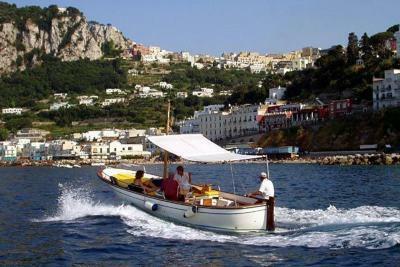 The location is perfect for a short stay on Capri being a short walk from the top of the funicular railway. 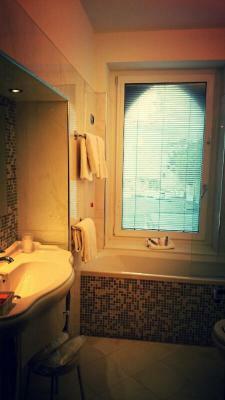 The four room suite with kingsize bed and two full baths on two levels was perfect. 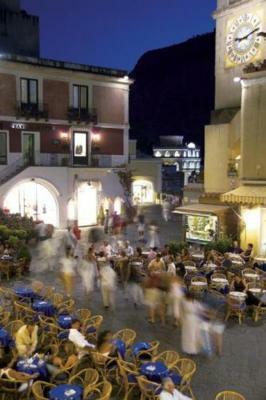 Location was perfect close to shopping and restaurants. Easy access with the taxi to get to the hotel. Staff were very friend,y and helpful. Breakfast was the only let down. Very poor for a 4 star hotel. Amazing views. 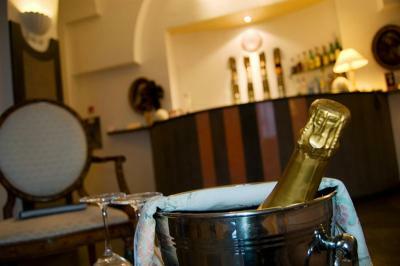 Staff were very friendly, helpful and courteous. 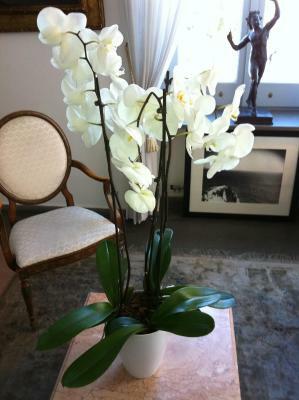 The staff are extremely courteous and provide very nice service. 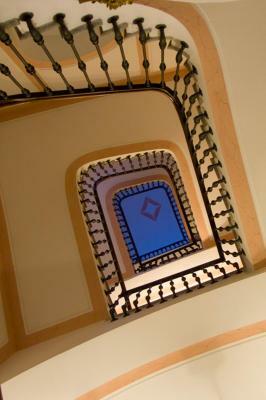 Don't worry about carrying your bags up the stairs because they help you bring your bags into and out of the room. The breakfast is good. The location is amazing. 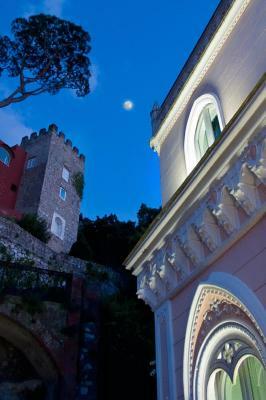 It is near the shopping area and a short walk from a bus stop (easy trip to anacapri, etc) and funicular to the marina. 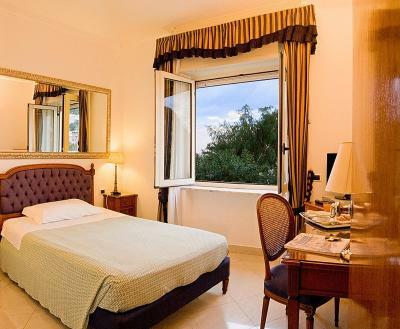 Hotel Capri This rating is a reflection of how the property compares to the industry standard when it comes to price, facilities and services available. It's based on a self-evaluation by the property. Use this rating to help choose your stay! 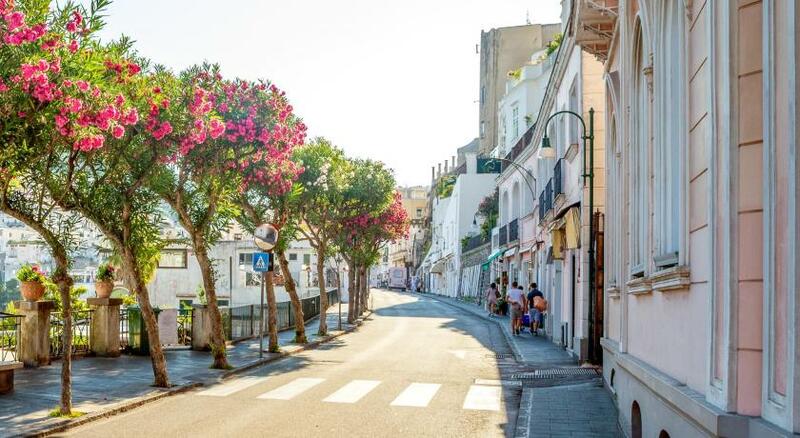 Hotel Capri is just 650 feet from Capri's central square, the Piazzetta, and a 5-minute walk from shopping and nightlife along the Via Camerelle. 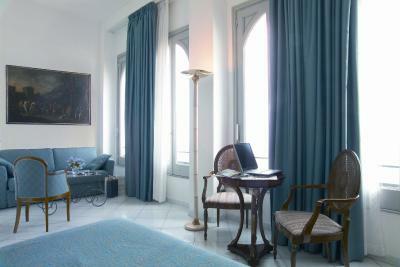 All the rooms are spacious and air-conditioned. This 4-star hotel is one of the earliest established properties on the island of Capri. 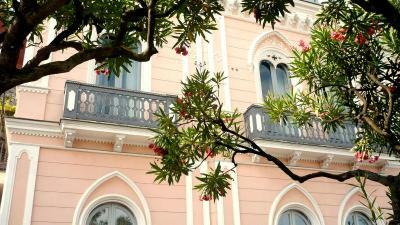 With its charming Art-Nouveau design, it is surrounded by some of Capri's most popular shops, cafes and restaurants. 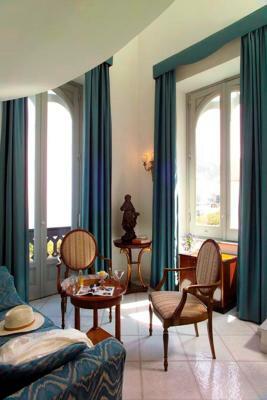 The rooms are elegantly decorated with dark-wood furniture and neutral color schemes. 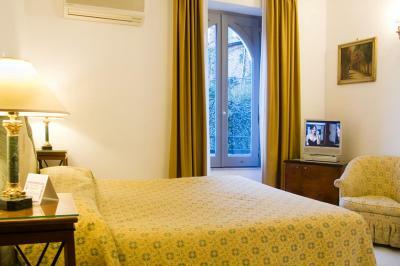 They feature satellite and pay-per-view TV channels, a minibar and a private bathroom with toiletries. 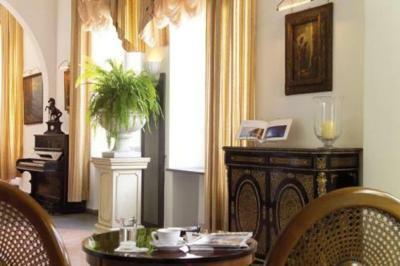 Guests can enjoy a continental breakfast daily. 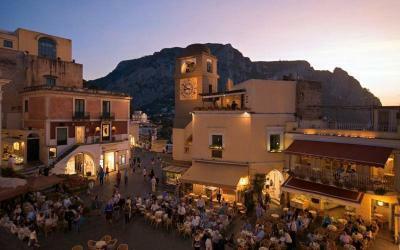 The beaches of Marina Grande and Marina Piccola are both around a 15-minute walk away. 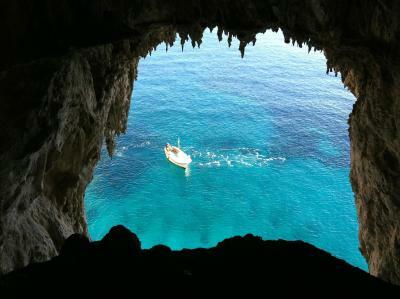 The staff organize private transportation and boat trips around the island. 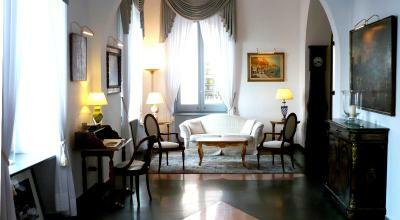 Guests can enjoy easy access to public transportation to the port, with ferries bound for mainland Italy. 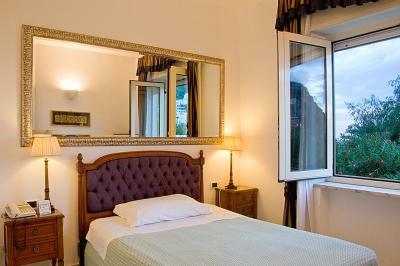 This is our guests' favorite part of Capri, according to independent reviews. 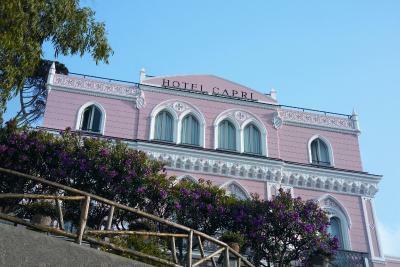 When would you like to stay at Hotel Capri? House Rules Hotel Capri takes special requests – add in the next step! One child under 2 years is charged EUR 20 per person per night in a crib. The maximum number of cribs in a room is 2. 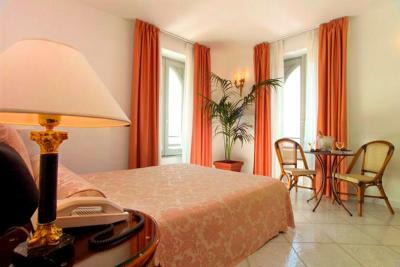 Hotel Capri accepts these cards and reserves the right to temporarily hold an amount prior to arrival. 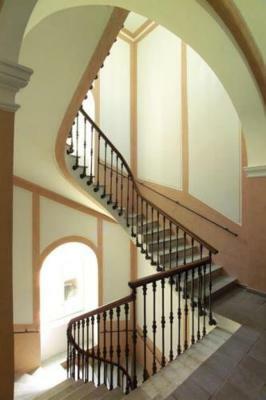 Please note that rooms are on the 1st and 2nd floors and the property does not have an elevator. 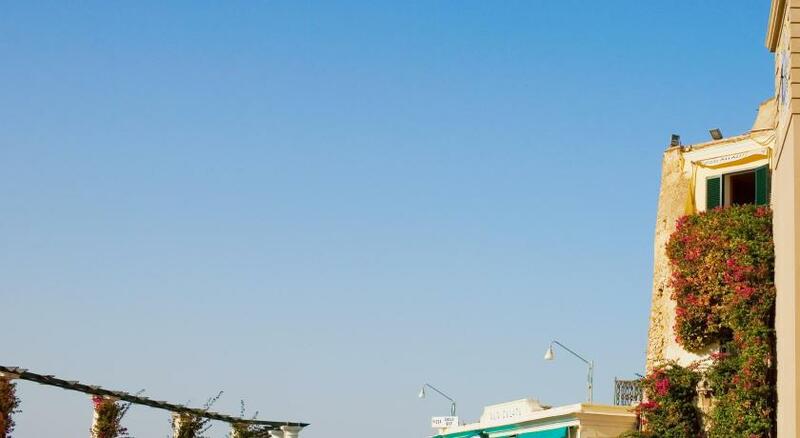 A charge applies for arrivals outside check-in hours. All requests for late arrival must be confirmed by the property. The latest possible check-in, even if paying the charge, is 12 am. The room was a little dirty and rundown. It is an old hotel but could do with updating in some areas. The coffee was from a machine, would be better with fresh. 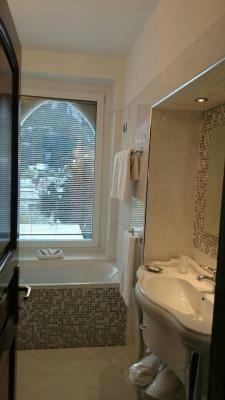 Excellent location and the staff are very obliging and helpful. The hotel doesn't have a lift so our suitcases were shouldered and carried upstairs for us. 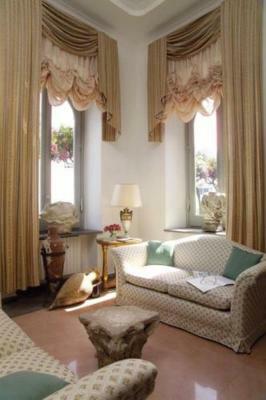 Relaxed atmosphere. Wonderful views. We received a free welcome drink voucher together with a dinner discount at the restaurant across the road, which we took advantage of and enjoyed both the drink and meal. 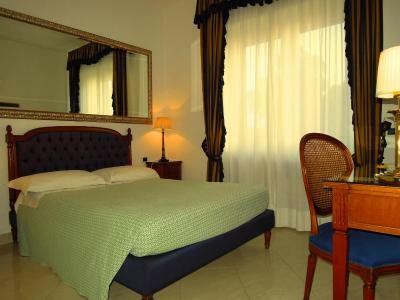 The Hotel Capri staff are very professional and helpful, all with a calm, relaxed approach. Next time we'll plan to stay longer. Only one small comments. My husband and several other guests wanted American coffee, but it was not available. The American coffee offered is just Espresso watered down and milk. I personally loved the cappuccino! Location and window with the ocean view! the location is so perfect. Nothing really. It was everything we wanted. A fabulous welcome right from arrival. 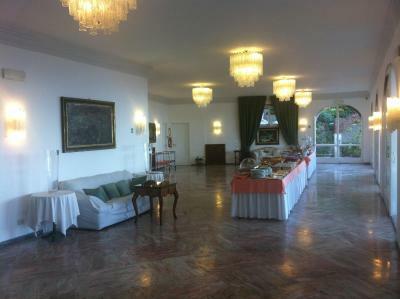 Great location and fantastic sea views. The hotel whilst being very clean looks tired. 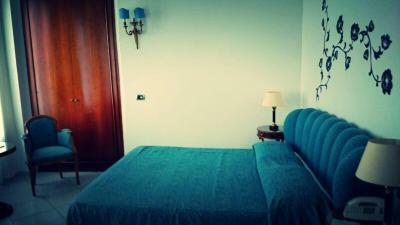 The bed was very comfortable but the pillows were like blocks (perhaps that’s just personal taste). The position was excellent with easy access to the buss station, Anacapri and all the interesting sights on the island. Staff very friendly and helpful. Room very clean and a good size. The views were spectacular the staff were helpful and friendly . The front office staff are very helpful. 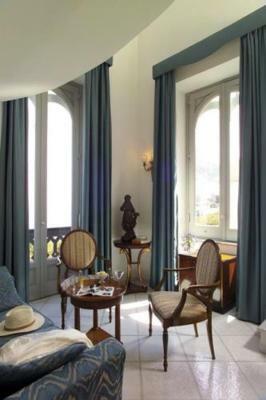 The old palace part of the hotel has character and the duplex rooms are nice. 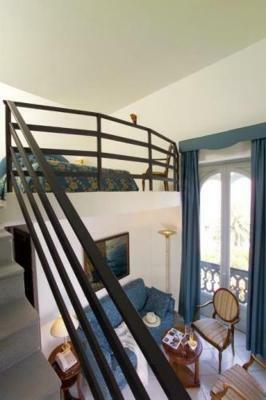 The room on split level was amazing and balcony although on small was great to look out. The bar across the road and complimentary drinks were a bonus, thank you.